Today on Trend Following Radio Michael Covel takes time out to highlight the fact that trend following isn’t only about trading. From gamblers to pharmaceutical executives to those in the film and music industries, trend following is a strategy rooted in human nature itself. 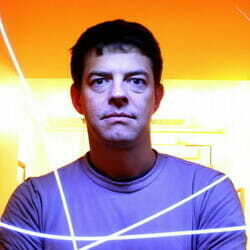 As an example, Michael examines the success of film producer Jason Blum. In direct opposition to the Hollywood mantra of Spend! Spend! Spend!, Blum has chosen another path. Blum, recognizing that big budgets don’t necessarily mean big profits, developed a filmmaking system based on low budget projects. Blum fully understands that close to half of his films will flop. But he also understands that a handful of box office successes will more than cover those losses. This is the essence of trend following. Michael goes on to quote from a 2005 article by best-selling author Michael Crichton. Crichton, talking about the then-burgeoning field of futurism, explains that these so-called futurists don’t actually know any more about the future than the average man on the street. These “experts” are guilty of the same flawed thinking that spews forth from the minds of traders who think they know what the market will do tomorrow.